Many of the problems and technical issues related to adaptive models are caused by the incorrect or incomplete configuration of the Adaptive Decision Manager (ADM) service. Use the following tips to investigate and solve the most common problems. Open the Services landing page and make sure that there is an ADM node with a status of NORMAL. If there is no node, add one. For more information, see Configuring the Adaptive Decision Manager service. Make sure that the ADM settings are correct. 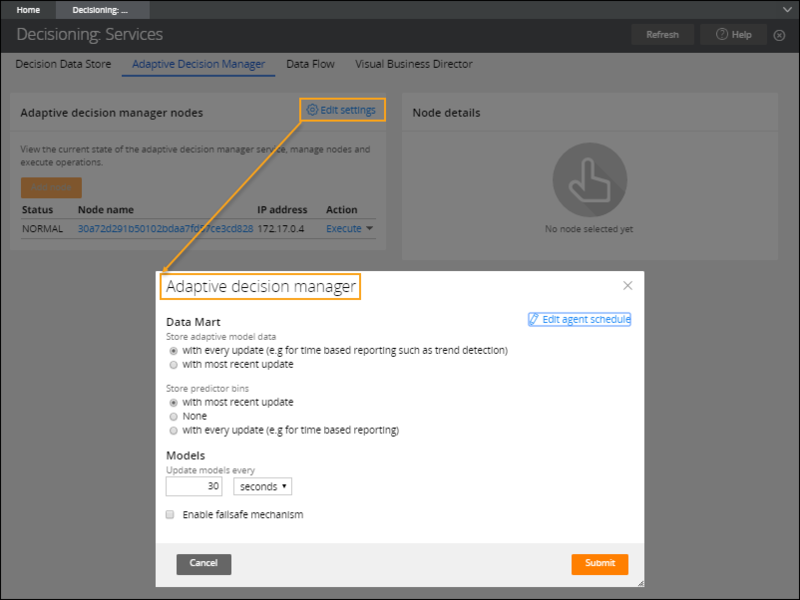 For more information, see Configuring the Adaptive Decision Manager service. Test run the strategy that references your adaptive model to verify that the model identifier values are as expected. If you encounter any issues with the strategy, ask a strategy designer for help. Click Records Explorer > Decision > Strategy. 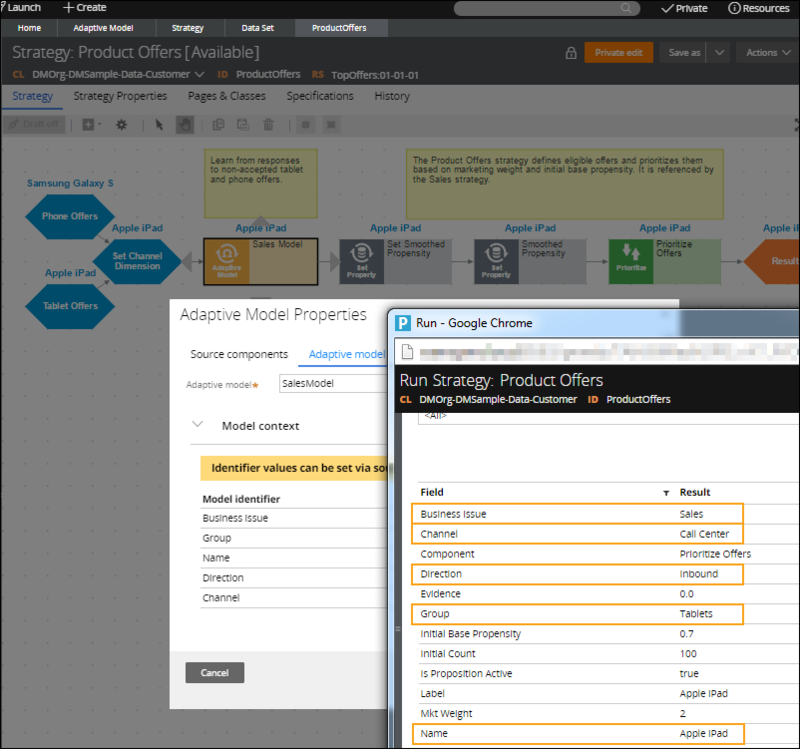 Click the strategy that references your adaptive model. In the Run dialog box, click Run. View the results for the model identifiers. For more information, see Strategy components: Decision analytics and business rules and Adding model identifiers. Enable extra logging for ADM to get detailed logs when you start and stop the ADM node. Click Designer Studio > System > Operations > Logs. In the Logger name field, enter com.pega.decision.adm. Set the Current level to All and close the dialog box. Click Log Files to view or download the current log files.